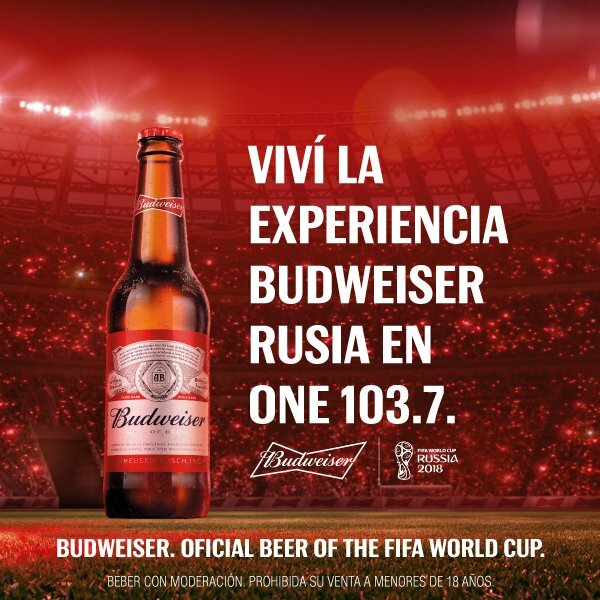 Viví la experiencia @Budweiser Rusia en One 103.7. LIGHT UP THE FIFA WORLD CUP. Budweiser: Oficial Beer of the FIFA World Cup.